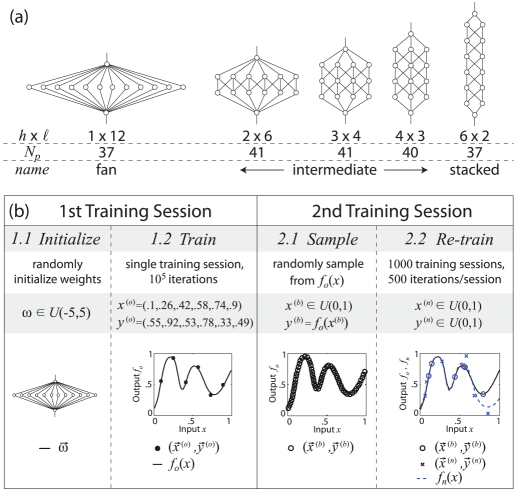 Figure – Brain wave patterns (gamma-waves above 40 Hz). Gamma waves – 40 hz above – these are use for higher mental activity such as for problem solving, consciousness, fear. Beta waves – 13-39 Hz – these are for active thinking and active concentration, paranoia, cognition and arousal. Alpha waves – 7-13 Hz – these are for pre-sleep and pre-wake drowsiness and for relaxation. 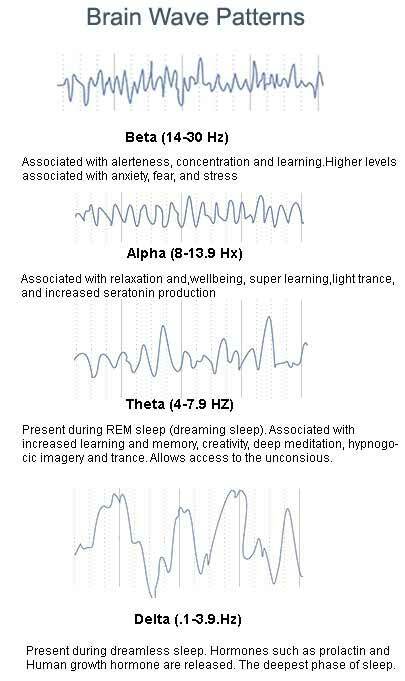 Theta waves – 4-7 Hz – these are for deep meditation, relaxation, dreams and rapid eye movement (REM) sleep. 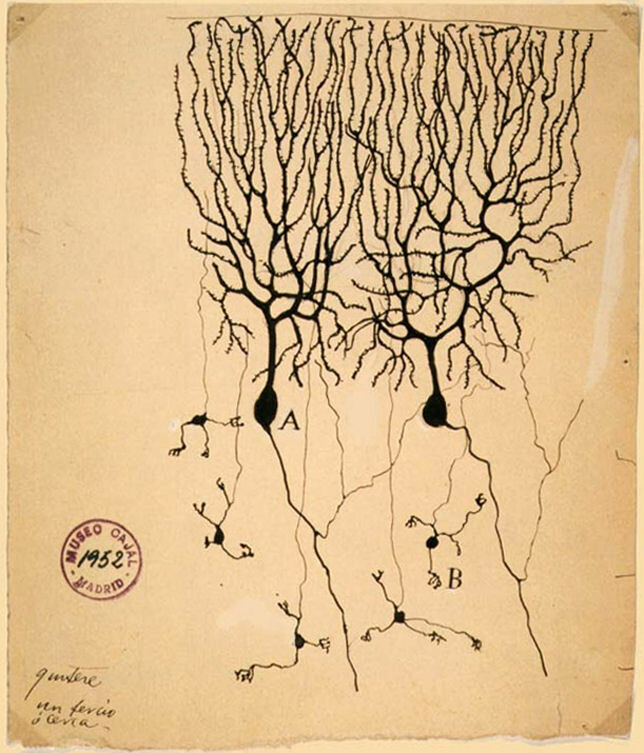 Delta waves – 4 Hz and below are for loss of body awareness and deep dreamless sleep (source: Medical School, link). Figure – Paul Klee painted this work in 1930-1931. He entitled it “Super Schach” (Super Chess). On his own way he was a remarkable visionary. 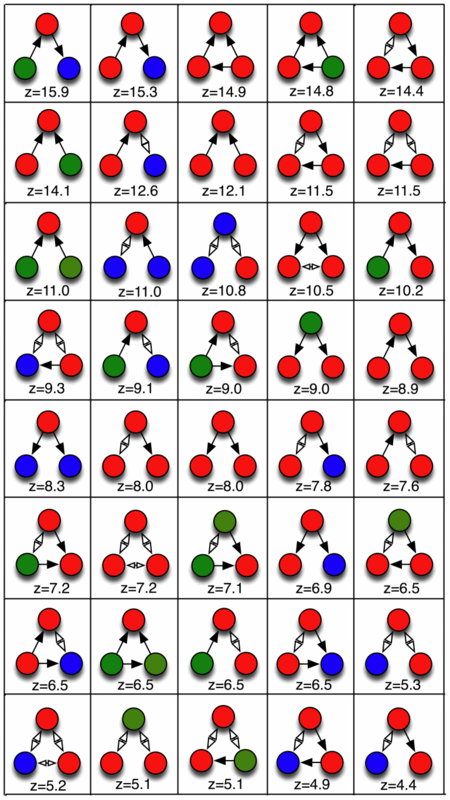 It’s all about patterns, and relations between them. Frequently perceived in a few milliseconds. While playing, sometimes, I see the board almost like this, as only few pieces were there, and important places in the board at that precise moment were painted in vivid blue. Tilting to us on a special manner. Calling us, like a pointillist painting does. “Whoever denies the high physical effort of a tournament player doesn’t know what he’s talking about. Many examinations prove that heart, frequency of breathing, blood pressure and skin are subjected to great strain, weight losses appear during a tournament – so chess players need a special way of life with regular training, practice of other keep-fit activities and healthy diet.”, Dr Willi Weyer speech on the 100th anniversary of the German chess federation in Bad Lauterberg on 12 March 1977. In a few hours, today, one of the most dramatic high-tension “F1 car races” ever will start. 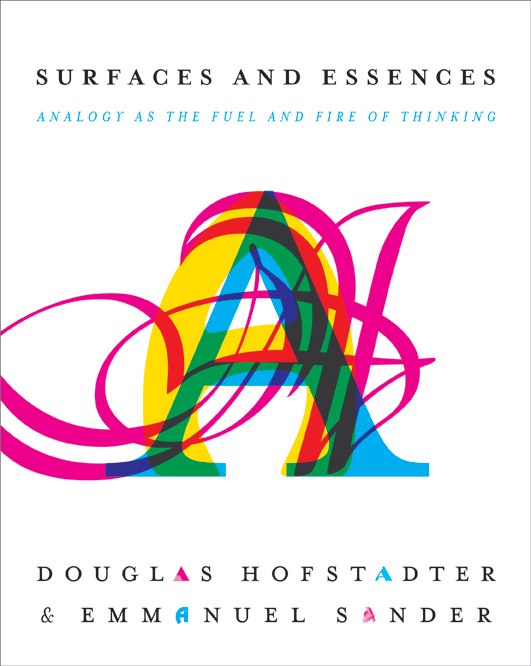 Though, it’s not only about sport, it will be about science, art, drift spatial aesthetics and psychology as well, … altogether taken to their very extreme. And, at the limit, it will end-up being about how two very different people and human characters behave while confronting each other trough puzzling millisecond brainwaves. While the hot race is on, I will be watching the board carefully, of course, but mainly – let me add – their faces. It’s their human side over an intensive battle, that ultimately interests me, and always pushes forward my focal attention. For those who are not used to deal with high incommensurable pressure and stress while the clock is fast ticking, or ever educated themselves along their lives to perform with “grace under fire“, far behind their technical know-how something unique over an athlete, probably it will be hard to understand, among other things, why F1 and chess have so many things in common, and are in fact, so close to each other. Breathing in many sports are fundamental. In chess, it’s crucial. It will be hard to imagine, for instance, that a regular chess player under enormous stress could loose up to 4Kg, just in one single important game, where everything is at stake. Not counting the increasing exponential adrenaline levels he must support (e.g. 772% on figure below), sometimes for long periods of time contrary to other – surprise, yourself – “soft” sports. It’s brutal: ” (…) It’s chess. Many don’t think of it as a sport, because nobody moves. But Chess Masters will tell you it can be more brutal than boxing (…)”, in CBS 60 minutes “Mozart of Chess” (YouTube link), CBS news entry piece on Magnus Carlsen, last year. 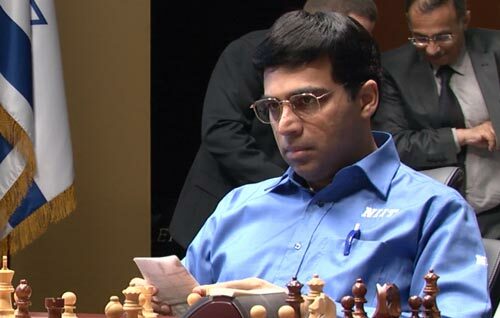 photo – Anand looking pensive to Gelfand at the end of the last 12th game, deciding for the final tiebreaks. [Allow me to add one of his possible thoughts: “It’s all about quick risky moves now, Boris. No more chicken play-to-draw games ” (Source: http://moscow2012.fide.com/en/ )]. (….) There has been reports of performance enhancing drugs being used in the game of chess. Now anabolic steroids and a ripped physique will not increase your mental capacity, but some drugs can be used to control blood pressure and meditate heart beat allowing a more controlled and balanced state of mind. Testing in Formula One has even been taken to a new level. Since F1 brought its drug testing standards up to the level required by the World Doping Agency, drug testing has been more thorough and more frequent. (…) in (link). Performance enhancing drugs (PED’s) have been reported, mainly by the use of beta-blockers. Beta-blockers are known to slow heart rate, as well as adrenaline, while maintaining the other brain functions on, and quick. At F1, on F16 fighters, on chess as well as in science, as in some of our regular daily digital software life (yes, Nasdaq High-frequency trading are targets now), digital doping is also possible. Injecting performance-enhancing code seems unfortunately to be a current trend. Just recently I have testimony this over an Iterated Prisoner’s Dilemma online contest my-self. 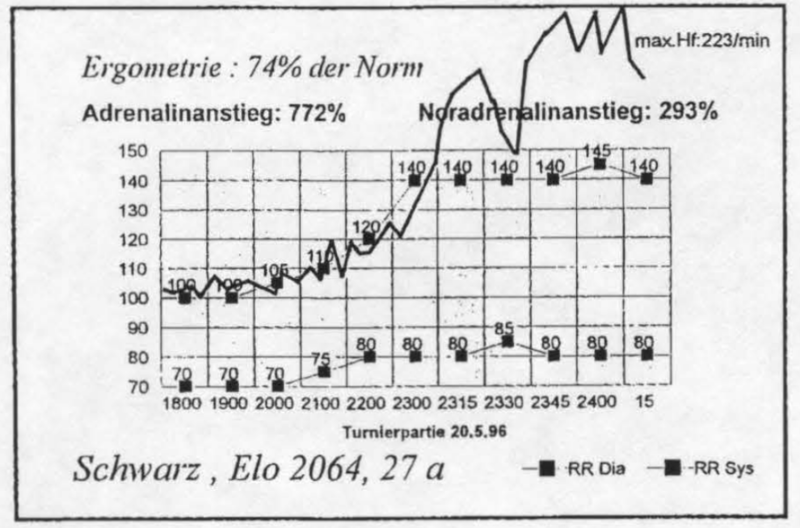 Figure – (…) The heart rates measured by Hollinsky‘s team included peaks in excess of 220/min and a single maximum of 223/min. Table 2 shows the HR, and blood pressure graph for a player 27 years old and rated 2064 over the course of one game, from six p.m. until its conclusion just after midnight. Not surprisingly, at least to chess players, the peak HR is reached in the time-pressure phase towards the end of the sixth hour of play (…) (from K. O’Connell MSc thesis, link above). Today however, at the Tretyakov state art gallery in Moscow (link), all these will happen quite fast, in just tiny seconds, while the whole world will be watching live. The actual champion Viswanathan Anand (defending his title) will have to fight it out in rapid chess tiebreaker against challenger Boris Gelfand after a tied 6-6 result in the World Chess Championship match. Both, now arrive at a situation when the match cannot be prolonged any further. To start with, there will be four games under rapid chess rules with 25 minutes to each player and a ten seconds increment after every move is made. In case of a 2-2 result, the two will play two blitz games with five minutes each with a three seconds increment per move. Between them, Anand and Gelfand have in the past played 28 times in rapid chess and the Indian has won eight, lost one and drawn the remaining. In blitz, they have played seven games with three wins for Anand and the rest being drawn. Today, there will be five such matches if the tie persists and finally an Armageddon game will be played with five minutes to white and four to black and white will be forced to win should this arise. The whole fast race could be followed live at http://moscow2012.fide.com/en/ while the board, analysis, chat, etc here at http://livechess.chessdom.com/site/ . Games will start at 10:00 AM CET. I would guess both players are having their “beauty sleep” right now. Today, the world chess champion will be known. It’s about all of us, Humans. Taken to our creative limits. As Fangio, even if the pressure is considerably high, always take a look at the trees surrounding you. If you blink, you will just miss it. Make yourself an exercise. Have a glimpse again on Klee‘s Super Schach. Starting from the bottom left corner, count 6 squares to the right. Then, look precisely above at the second row. What’s that?! See it? !